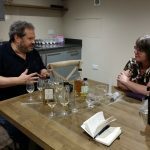 Unless I’ve lost the ability to count, this is whisky review #200 – time for a small celebration! 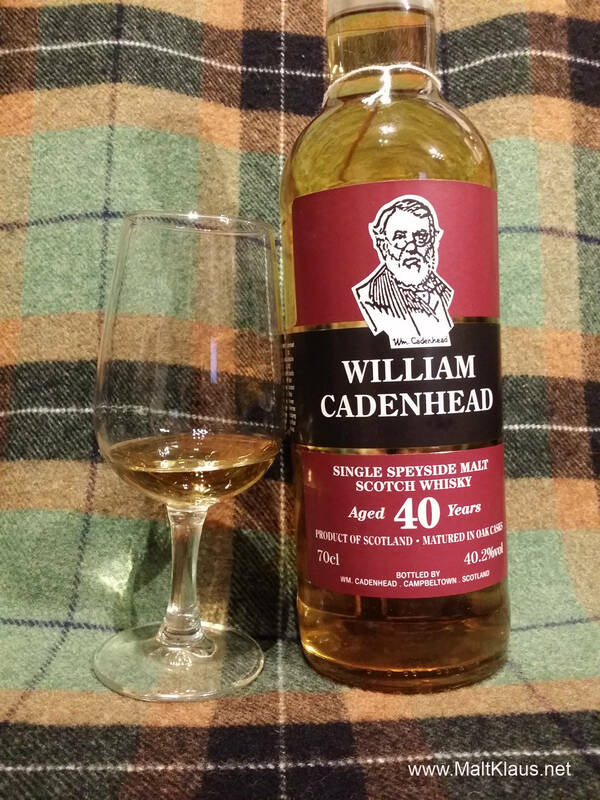 How about… oh, a 40yo “undisclosed” Single Speyside malt by William Cadenhead’s? Only they could be so cool as to print the completely unrelated letter combination “Glenfarclas” just above the bottling number. No, I’m sure these letters don’t mean anything to anybody… I love you guys up there in Campbeltown! 40,2% ABV – this better not be weak on the nose! Ah…. no! Oh! Ah! 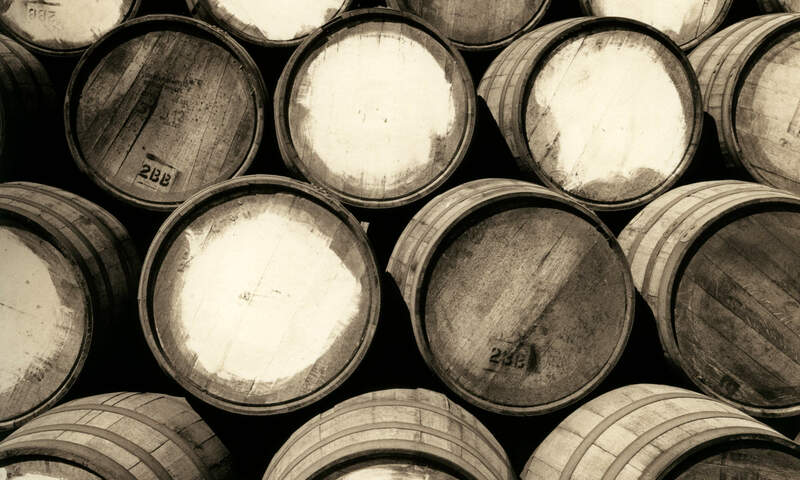 Properly aged whisky from a refill ex-bourbon cask, that’s a style I love! Golden honey with a bit of beeswax, majestic oak jam cupboard (just the right amount of oak) with a leather jacket and garden herbs for drying hanging from a hook on the side, sweet summer sunset in an orchard captured in a glass, tropical fruits (dried mangos and papayas ), condensed orange juice, slightly vanilla-flavoured Virginia pipe tobacco (non-vulgar vanilla! ), ah, what a lovely, dense yet still elegant and fragrant mixture. Just the dram to pour those “age doesn’t matter” folks, that’ll teach ’em! 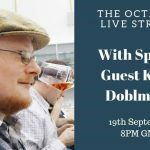 The palate is waxy (beeswax) on the arrival, teeth- and mouth-coating! Not weak, as I initially feared, but it could use 2-3% ABV more for absolute greatness. Oak-matured summer honey diluted with flower petal infused water, slightly sweet jelly with mango and papaya pieces thrown in. And pickled ginger, to the point where it’s almost not gingery anymore. You rarely come across a Glenfarclas like this, as they’re predominately sherried whiskies. Fuller and richer on the second sip – remnants of leather jackets and the light vanilla pipe tobacco is back, too. Very good, but you can tell the cask(s) was/were at the brink of being underproof. The long finish is slightly oak-dominated upon swallowing, but very gentle, rich, with a hint of beeswax accompanying the slight mixture of tropical fruits. 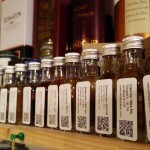 Glenfarclas (ahem…) in refill ex-bourbon. And matured for a long time, 43 years to be exact*, even though the label only says 40. Well, that’s quite a stunning dram, it matured gracefully. Not too oaky, exhibiting the tropical style of long ex-bourbon maturation. Oh, and did I mention this is/was sold for roughly 200-220€? Expensive for a bottle of booze, but you get what you pay for and it’s comparatively rather cheap looking at today’s market. 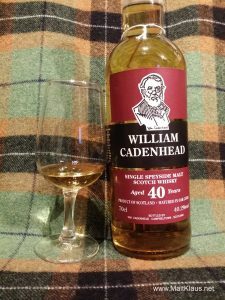 You could lament about it being on the brink of getting a bit weak – but I dare you to find a current, more bang-for-the-buck 40yo single malt in that price range! Pick this one up if you see it! * edit: Thanks to Morten Pedersen for pointing it out and Mark Watt for confirming!